Having pondered what he wrote, I thought I’d pull together some additional thoughts and provocations on the concept. Interestingly, if my memory of school Latin is correct, I don’t think the Romans ever had a word that quite captured our modern concept of service, at least not one that really captured it adequately. From what I can see, the Latin “servus” (which our modern day “service” comes from) meant “slave” – and just that. For the Romans there appeared to be an absence of the concept whereby service could mean a voluntary offering by free will of one’s self to a higher ideal or lofty goal. While these are helpful to a degree, they only go so far in assisting our understanding of service within the context of the Western Esoteric Tradition. For many, the first time they formally come across the concept of service is during an early initiation. 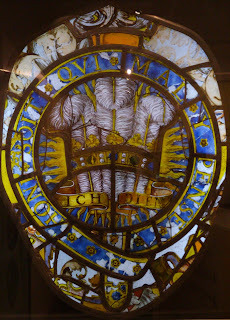 However, I’ve often wondered how many candidates for initiation have truly taken time to understand the oft made claim, perhaps more an aspiration - “I desire to Know in order to Serve.” I suspect if they did, some would run a mile or two. Wisely so, for an esoteric approach to life remains something that is most squarely for the few. There is then a question as to what exactly the new initiate thinks it is that they are going to “Know”. The line of questioning continues onwards, asking what it is that this “Service” thing is all about. Service to what end? To God or Goddess – however one sees deity? Intellectual curiosity? To the Mysteries generally, or just good old-fashioned “Castle in the Clouds” escapism? I’ve even heard that it might be about service towards getting better tea and cake. In certain quarters of the Western Mysteries the end being worked towards is often somewhat glibly described as “Light” without much of a definition other than perhaps a nod to Qabalah. Why not serve “Dusk”, or for that matter “Darkness”? After all, darkness always precedes the dawn, and, to misquote the poet, "only when it’s dark can you truly see the stars!" Irrespective of what the initiate reads or is told, they must sweat and toil to work out their own experiential position on this. Whether we are talking about service offered up by an individual or through a collective of initiates in a contacted group of the Mysteries, I'd like to propose that's its ultimate purpose should be for the “betterment” of Humankind. Arguably that is an easier concept to grasp than "Light". The word “betterment” is of course loaded but perhaps no more so than “service” itself. Now I’m clearly not using the term in its Victorian or Edwardian sense either, for example, “We always have bible readings on Sunday mornings for the betterment of the servants.” I am afraid that the glamour of Downton Abbey doesn't come into it. I’m using the term to describe a conscious act or willed process aimed at improving a situation, person or thing. An improving measure that adds value, purpose or meaning on a personal or transpersonal level. For example, an end goal of “betterment” could be achieved through a magical approach on a variety of levels, from purposeful and ordered household or mundane work duties, to meditation, contemplation and full blown ceremonial for a desired lofty evolutionary end. It has been suggested in the past that there is probably only one legitimate reason for membership of a contacted group of the Western Mysteries, and, that is a desire to serve that which enables the unfolding of evolution and the “betterment” of Humankind. A reasonable proposition, but one which of course then begs the question, “whom or what determines what betterment is and what it isn’t”? One person’s chosen drink is another’s poison! This hits the spot nicely and picks up one of the prime purposes of the Lesser Mysteries of the Western Esoteric Tradition. In the Lesser Mysteries service is essentially offered and experienced through processes which enable personal regeneration, a renewal of the Self. These processes can be aided by a general flexibility and willingness to change, to let go of rigid or stuck mental attitudes or beliefs. A long hard look at oneself, warts and all, is required. The processes undergone in the Lesser Mysteries essentially entail the removal of blockages, and, if needed, the acceptance of a firm steer from those that know! This naturally suggests a faith in those companions being worked with on the journey, both on the inner and the outer. One of my own first teachers said something about service which both struck me and stuck with me. We were camping in the grounds of Castle Ashby in the 1980s, and someone asked him, “What’s the most important thing I can do to serve?” In the blink of an eye he swooped like a hawk, “Tidy your room.” The usual laughter ensued and almost lost an important point. If you can’t tidy your room, how do you think you are going to be able to take on a wider responsibility for serving humankind? If we can’t tidy our room, at best we’re going to struggle to run a home. If we can’t run a relatively orderly home, how on earth do we think we’re going to fulfil the destiny of the Aquarian Grail? NB. The photograph at the top of this article is from a recent visit to Plymouth Museum in the South West of England. 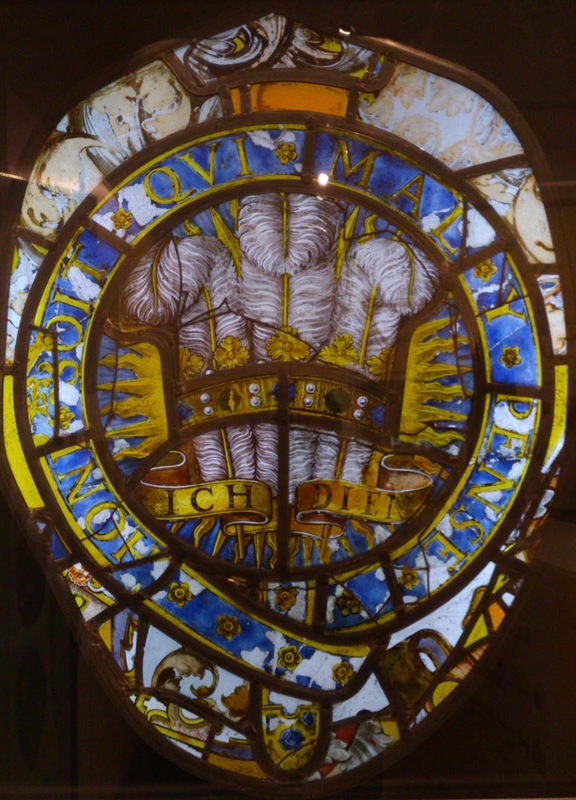 It is a beautiful stained glass representation of the Prince of Wales's feather crest. A ribbon beneath the coronet bears the well known motto Ich dien a variant of the German for "I serve", ich diene. Somewhat strangely, keeping a magical diary can be both a chore and a treasure. At other times it can be a godsend or even an old wise friend. 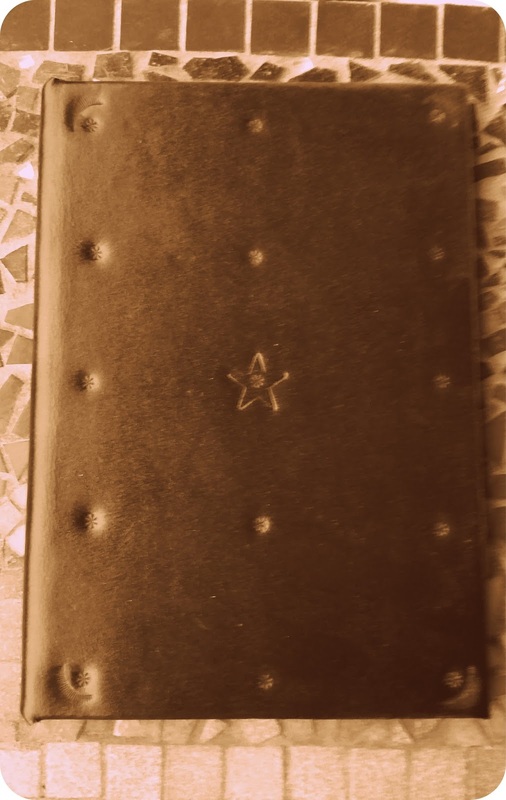 The Western Esoteric Tradition teaches that the practice of recording and reviewing one’s magical diary is a critical part of the initiate’s deal. Primarily, it is an opportunity to capture, make sense of and ground the experiences and insights gained from ceremonial and meditative practice. Secondly, it provides a personal travel log from which progress can be measured and carefully assessed; the impact of natural, lunar, solar and stellar cycles can be gleaned. Finally, the Magical Diary can provide an occasionally needed safety valve for when people lose their way a bit or things overheat – a kind of Ariadne’s thread for Theseus to safely retrace his steps through the angled labyrinth of the mind. There are lots of examples from famous initiate’s magical diaries – Aleister Crowley, Dion Fortune, Charles Seymour, Christine Campbell Thompson and Robert Ogilvie Crombie to name a few. 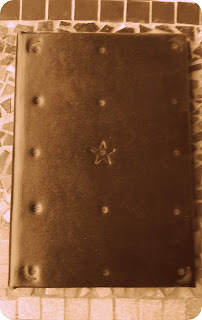 However, I have never been able to find an example of a formal review of the magical diary. To that end, I thought that readers might find it interesting to see an example of how one can carry out a review. For this purpose I’ve picked an entrance at random from an early stage in my own esoteric career. The year is 1986, while I was working through the Outer Court of the Group I would subsequently join. After the text of the chosen meditation, I provide a summary of my most recent review, carried out in February 2014. The October entry was written a year before I learned the valuable and occasionally troublesome discipline of limiting diary entries to a certain number of lines.Brevity and focus were not yet in my vocabulary. It can be a useful discipline to formally review one’s diary both annually and with longer cyclical reviews too. I hope you find this small example useful for your own practice. Self: good mood. Wide awake. I lit the altar candle as usual performed the sealing ritual and then invoked at the quarters. Visualised the journey to the temple, seating myself and meditating on arrival. The first things to come to mind were concepts of evolution, growth, change and development. These were some of the reasons why I wanted to pursue esotericism in the first place. I had originally been drawn to the Western Esoteric Tradition through a growing disillusionment with Christianity of the churches. I had always found myself far more interested in the closed orders and the mystics than the exoteric churches and their often sterile and at times hateful environment. In my meditation, I recalled an incident with my father when I was about 11 and asked him to buy me a book on magic having been intrigued by the marketing blurb on the dust jacket. He had cautioned me not to play with fire. I guess with hindsight that was red rag to the bull! Since then, and before then, the Western Esoteric Tradition has cropped up, pulling me with its unifying and reconciling influence. The more strongly I try to ignore it, the more strongly it has jumped me! I consider that my mother’s extended family have always been “intuitive” and have always been tuned into or operating often on a Yesod level of consciousness with wide social discussion of dreams, out of body experiences, banshees and even the wild hunt. I seemed to have retained a little of this with the dreams of relatives dying just before they do. This has probably helped me to keep my mind open to the inner world that many refuse to acknowledge due to “sin-conditioning” and guilt....some I’ve only started reconditioning myself after years of societal, school and church indoctrination. I realised that I have excellent outer situations at the moment in the mundane world, ones with which I believe I can learn and grow, helping others to expand their consciousness and be more that they think they can be. I have a wonderful family here now who have allowed me to adopt them. I have good academic qualifications and will shortly finish a degree. I have almost completed my professional qualifications too. Financially and career wise I look like I’m setting up a reasonably solid foundation upon which I can grow. However, inwardly, at least at the moment I thought that I seem stuck . I’m a little indecisive and unsure of what path I’m on tradition-wise and whether it is the right one for me. I seem incapable of enduring at any inner adventure for that long. Change. I tried the Christianity of my parents as a child and young teenager. Not right. Wrong vibration. Then I tried other practices - including Wicca, Neo-paganism, The Northern Tradition - before heading into the lands of the Western Esoteric Tradition guided by Dion Fortune, W.E. Butler, Crowley, Denning and Phillips. The early part of this journey led me to think that I knew nothing of myself or life. More recently I’ve been pulled between a number of sub sets of the wider Western Esoteric Tradition. But, at this stage my still small voice tells me to choose a tradition and stick to it until it is relatively well mastered. I’m no use to anyone let alone myself continuing with a “Jack of all trades, Master of none” approach! That still small voice in tonight’s meditation also suggested that if I was concentrating on just one thing, becoming adept at it, I feel I would be close to following my True Will. I know what I’m looking for is “inside”, after all, where else is the True Will to be located? I’m out of sync now – leaping around from thing to thing, with all the noise and distraction that that creates. Diversion. Focus and limit now. I realised that the Group’s Outer Court training programme is certainly teaching me a lot about myself and others. Much more than I expected was imaginable when I first set out on this path. However, at times I also feel uncomfortable with the Hebrew parts of it.....something in my make-up doesn’t easily latch on to the Hebraic part of the Tradition.....finding it difficult to see it as a tool or means to an end I am comfortable with. Interestingly I had the same reaction to Latin at school 10/12 years ago and now regret it. This set of recollections and thoughts then led me to asking “What then do I serve or intend to serve in my Work?” I thought of a poem I had recently written after the Autumn Equinox ritual last month – “Exile and my Kingdom.” This had traces of the Human Project. Conscious experience of life far more abundant and not limited to human evolution! Perhaps trying to realise in my day to day existence that “I’m a star”. The opportunity of compelling others to find that to be their own truth too. Maybe if there are enough of us trudging ourselves upwards out of the mire, we will get to a place, the next stage in evolution, where as humans we start realising our unlimited potential on to the ends of time! Maybe a realisation that there is more within, without and beyond than we can possibly imagine at this point. I was left thinking that perhaps on Aeonic levels we are only Children now, maybe even toddlers. The thing is that beliefs I held as a child, I now understand from personal experience to be twaddle. My consciousness and understanding has grown since then. “All changed, changed utterly” as Willie Yeats would say. Why then shouldn’t wider human consciousness also expand in a similar way? The Western Esoteric Tradition and its subcomponents of astrology, qabalah, tarot, geomancy and ritual would likewise evolve and change. In essence, tonight I believed that all our present systems of cosmology shall become redundant. Others shall be born, grow and die! Firstly, the antipathy to Hebraic and Judeo-Christian forms is widely experienced among modern occultists and is probably related to the task of building new forms for the future. Crowley’s “The rituals of the old Time are black,” from Liber AL vel Legis, is of course a rhetorical overstatement of this tendency. That said, one cannot drain a swamp without developing a tolerance for mud, brackish water and the odd alligator; also, if the magical Crown and Sword are encrusted with old residues and salty barnacles, that’s really too bad – one still has to pick them up! I got over the antipathy and embraced the forms shortly after this meditation. Secondly, in terms of the meditation’s examination of the problem of eclecticism, in the older tradition of the Western Mysteries, students and initiates were prohibited from working concurrently with other forms – but that rule has largely lapsed due to the syncretistic nature of the Work in this Aquarian epoch. Of course, life is always in transition, but at this time it is in a quantum shift. Only each individual can decide for themselves how many pairs of reins they can sensibly hold in their hands at once. Perhaps a metaphor of trying to climb two ladders at the same time may help too. It can become a stretch and a tad messy, particularly when one is decorating. As I’ve learnt the hard way, the Cosmic Doctrine’s “Law of Limitation” provides plenty more insight into this. Finally, understanding True Will or indeed one’s “Esoteric Purpose” is something that is seldom realised as a sudden blaze of glorious Knowing: for most of us, most of the time, it has to emerge piecemeal from an on-going exploratory process. Perseverance is crucial. A gradual incremental unfolding, laying the roots bare step by step, is the method of the Western Esoteric Tradition. Without this there is the risk that the student can be temporarily or permanently blinded by too sudden a revelation of the Light. A valid Mystery Group will bring candidates to the Light by gradual stages in a tried and tested manner.